Just because the temperature is dropping doesn't mean that your style has to! 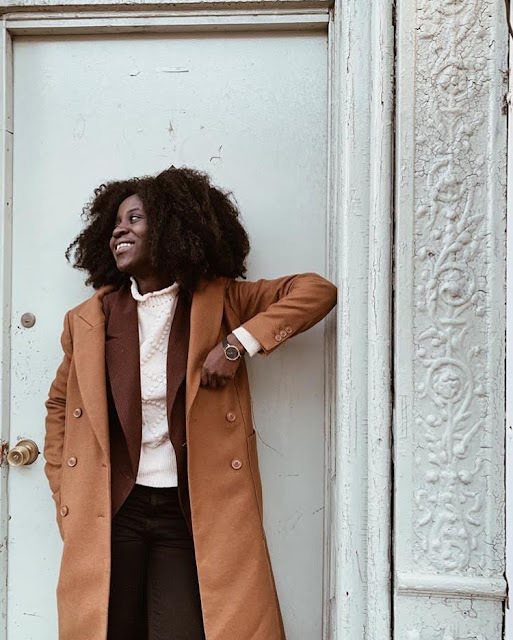 For many, dressing stylishly in the winter is a challenge due to the cold weather forcing us to bundle up in our coats, layers and heavy-duty boots. Over time I've found that a great few pieces can allow you to still look chic, despite the frigid weather. 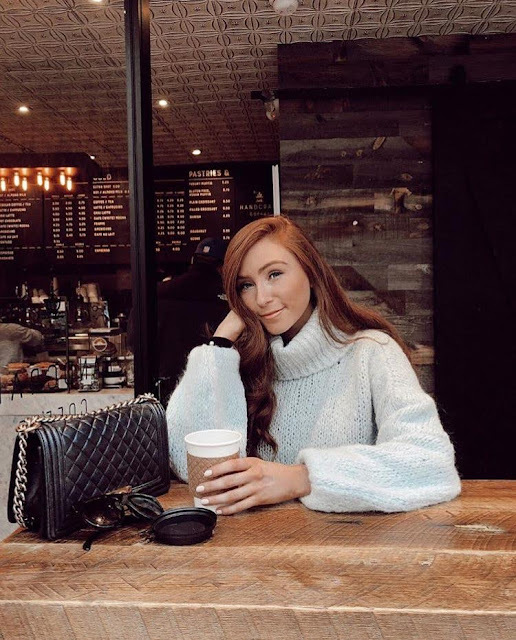 Here's what you can add to your wardrobe and beat the cold in style! I love cowl-neck sweaters because of the added warmth they provide while also being stylish. I own several of these, and they make getting dressed on winter days so much easier by making it look like you put a lot of effort into your outfit. Not only this, but they also eliminate you having to wear a scarf since there is the extra material around your neck. These sweaters come in a variety of colors, patterns, and knitted materials, so there's a lot to choose from! These (along with the Instagram-famous "teddy coats") were so popular in 2018. I haven't found the right one yet, so I don't own one, but I've tried them on when shopping and they feel very cozy. 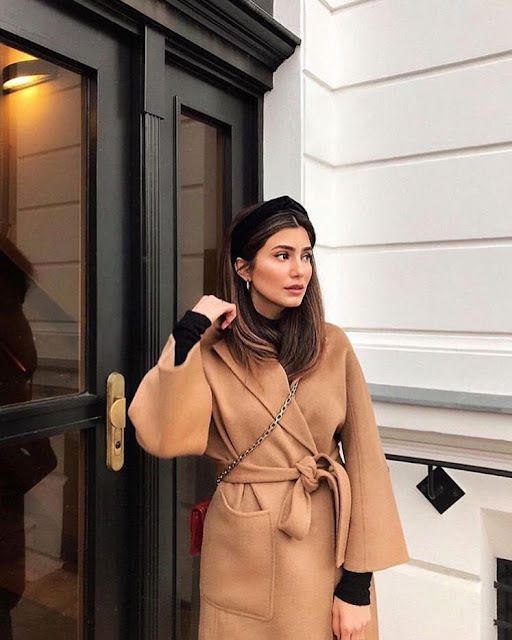 I think that these coats, while being a current trend, have a classic, vintage element to them so they'll go nicely with a variety of outfits and make for great transitional pieces. 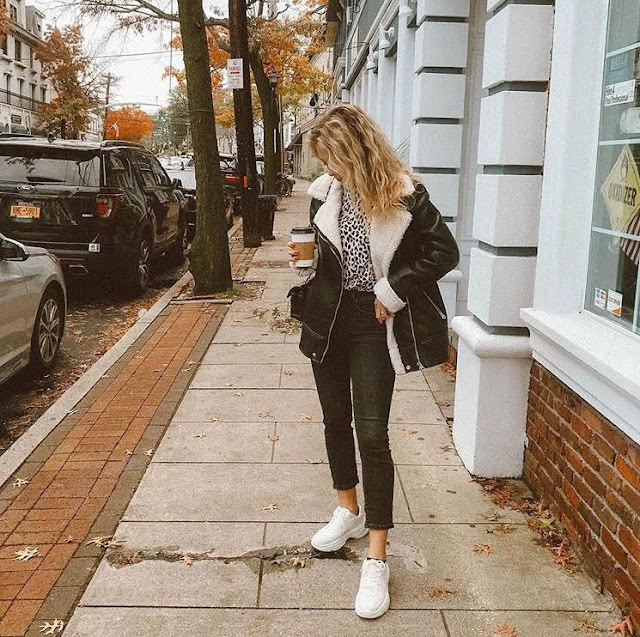 These type of coats are also great because they allow you to wear a lighter outfit underneath since the shearling/faux fur lining will keep you warm. Berets were a huge accessory trend last year, and the great thing about them is that they're practical for everyday life. 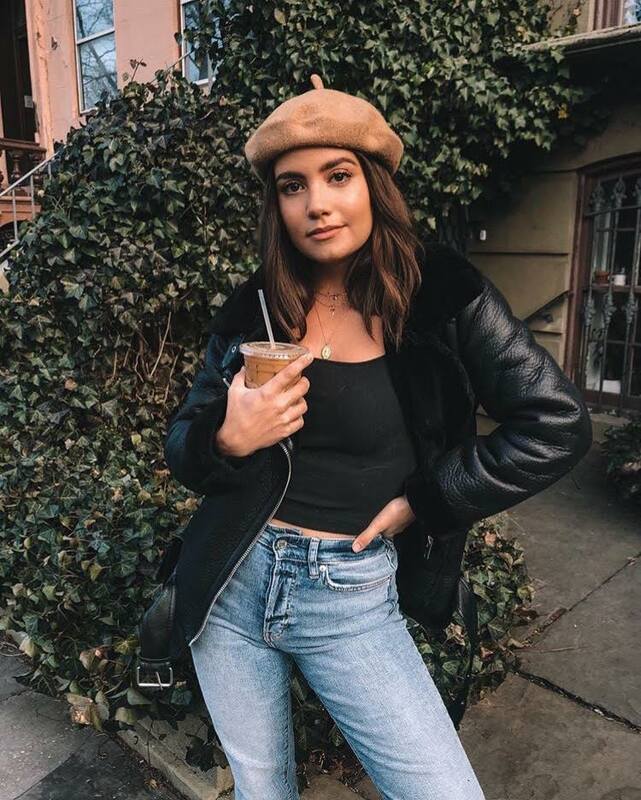 After recently purchasing one from ASOS, I have a new found love for berets. I find that they're a more stylish take on a winter hat and do a great job of keeping your head & ears warm. Recently I've seen them in a variety of colors and materials, so find one that best suits your personal style and stay warm! I've been seeing all different types of thick, quality overcoats popping up on my Instagram feed this winter, specifically camel and plaid ones. 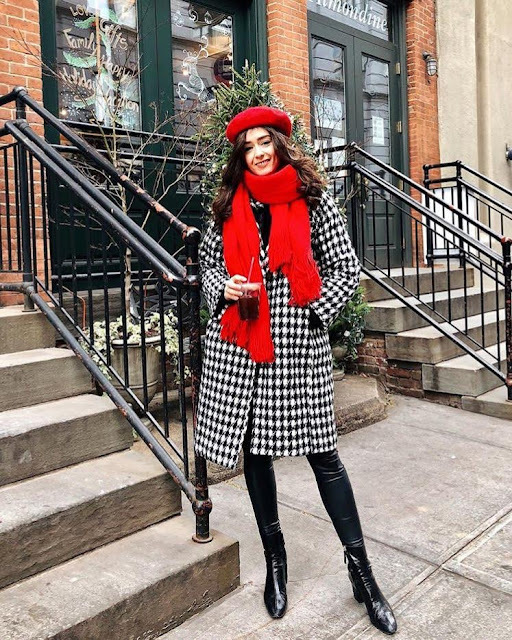 I love the looks of these coats, as they not only keep you warm but also add another element to your outfit, often pulling the whole look together. 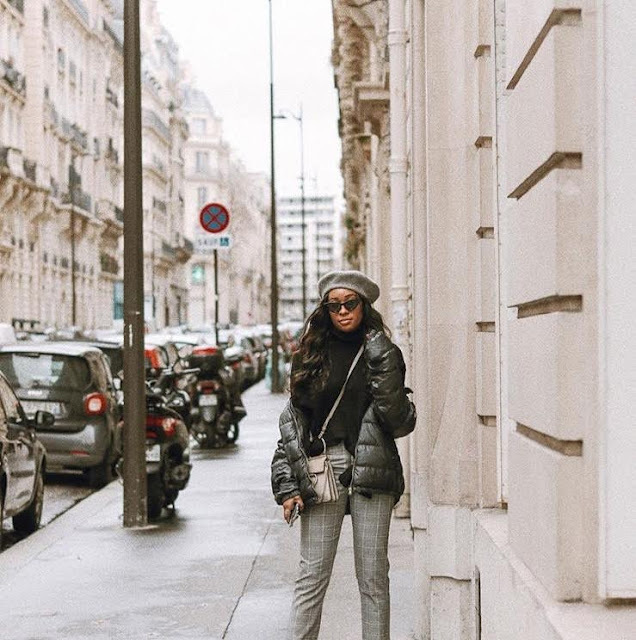 These types of coats are also great style-wise because they're often oversized yet structured, proving that you don't need to be swamped in clothing to stay warm. These are just a few ways to ensure that you look chic this winter! Adding these pieces into your wardrobe will allow you to experiment with your outfits without compromising warmth in the process. Let us know what your winter style recommendations are in the comments below! Madame Blue is a source for interviews and articles focused on fashion, travel and lifestyle. The goal of Madame Blue is to share stories from people and places all over the world that inspire, entertain and educate. To learn more, click here.